Aromatic with a pleasing flavor, this chance seedling from British Columbia is fast becoming a breakout variety for growers. 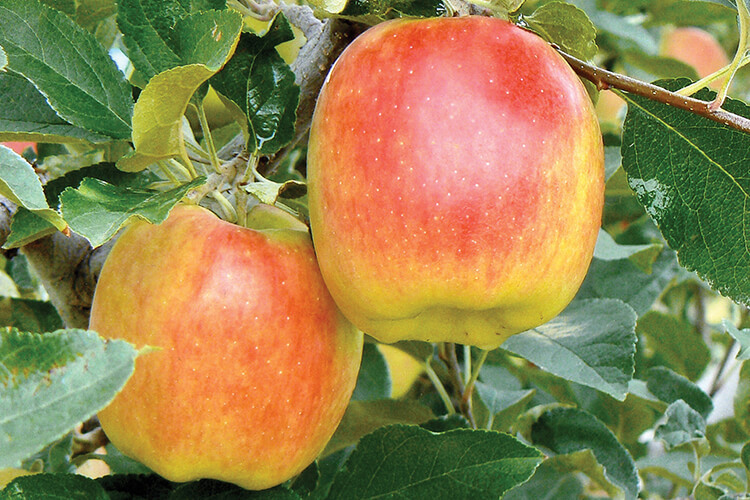 Fruit is medium to large with a creamy yellow background and pink blush on the sun-exposed side. Fruit is sweet and juicy.